We are offering high quality Classic Cafeteria Chairs to our most reliable customers which are situated all round the nation. These Classic Cafeteria Chairs are a perfect blend of style and comfort. Moreover, the material used in manufacturing these Classic Cafeteria Chairs are of superior quality which is durable in nature. 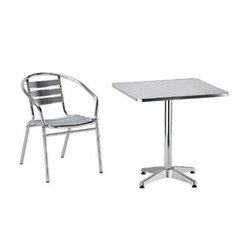 Owing to our vast experience of this domain, we provide patrons with the finest quality of Zen Cafeteria Chair, which is used in food courts and canteens. Our name is enlisted amongst leading companies for providing quality tested SS Cafeteria Chairs to the clients at very reasonable price. 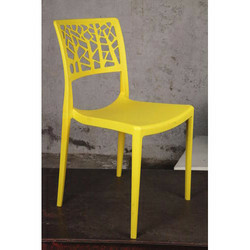 Owing to the rich industrial experience and expertise in this business, we are involved in providing Cafe Plastic Chair. - Capable of taking a vertical load of over 200 Kgs.